➤In a large pot, cook potatoes in boiling water until tender, about 10 minutes (do not overcook). ➤Drain well and let cool. ➤Cut potatoes into bite-size pieces and place in a medium bowl. 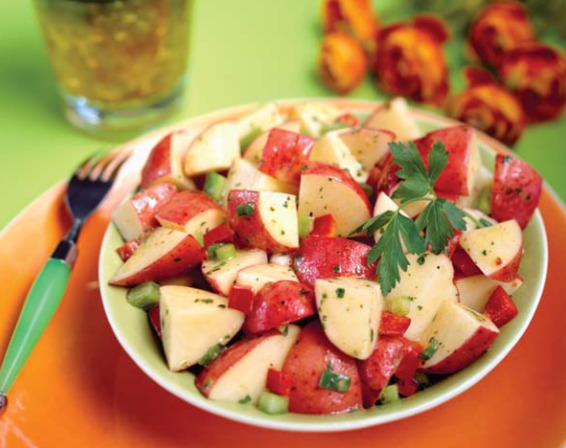 ➤In a small bowl, combine dressing, mustard, parsley, and seasonings; pour over potatoes and toss well. ➤Carefully stir in bell peppers and green onions. Cover and chill until ready to serve.